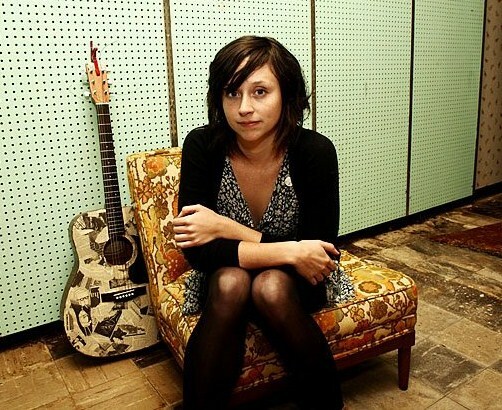 For those of you who don't already know, Katie Crutchfield is the singer of P.S. Eliot. Her work with The Ackleys and P.S. 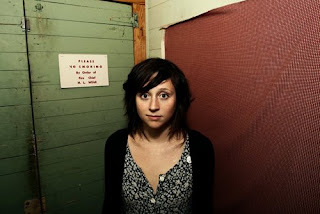 Eliot has been critically acclaimed and her new projects with Bad Banana and solo work as Waxahatchee, further display her musical talent and song writing abilities. In the past year P.S. Eliot lost band members, came close to calling it quits, picked the guitars and drum sticks back up again and recently released Sadie, which has been lauded a great success. Katie, along with sister and fellow P.S. Eliot bandmate Allison, have been recording demo tracks under the band name Bad Banana. And alone, Katie records under the name Waxahatchee. With all this work being released, how does Katie deal with the pressure of being a work-aholic and what inspires her to create music? Blueboy and Popgirly asked Katie a few questions to see what makes her tick. First of all, thanks for taking part in this interview. Obviously your sister Allison is also musically talented, what about the rest of your family? And when did you and your sister start playing music? Allison and I are sort of just total freaks. My mother and younger sister both love music as much as we do but they're not as creatively energetic. Allison and I started playing music together when we were freshmen in high school. We had a falling out with our mutual best friend who had, formerly, introduced us to Bikini Kill and at that point we had no one but each other. So we started a band. That was 8 years ago. It must be difficult working on P.S. Eliot, Bad Banana and Waxahatchee . Have you had difficulty deciding which penned lyrics should go with which band? How do you approach the process? Oh no, I write melodies first and lyrics immediately following, usually. Even though I try not to premeditate this, I normally go into songwriting with the intention of writing a song for a certain project. It's usually not an issue, deciding which song is for which band. Are you under pressure to stray away from P.S. Eliot-esque songs when you record as Bad Banana? Definitely. It's something I struggled with a lot and one of the reasons why Bad Banana isn't going to be an active band anymore. I was the sole songwriter in P.S. Eliot and in Bad Banana that duty was shared with Allison. It was a complicated dynamic and I think I was super self-conscious about straying from P.S. Eliot. Writing songs with a certain "sound" isn't something I do consciously so trying to stray from a "sound" is really hard. Chayse Porter is a new face in the band, what dynamics has he added to P.S. Eliot? Who are the current band members and can you tell us a few things about them? Chayse and I have been friends since I was in my old band the Ackleys! He played a few shows with P.S. Eliot back when Allison and I still lived in the south. These days Kate Eldridge and Colman Durkee are playing with us. 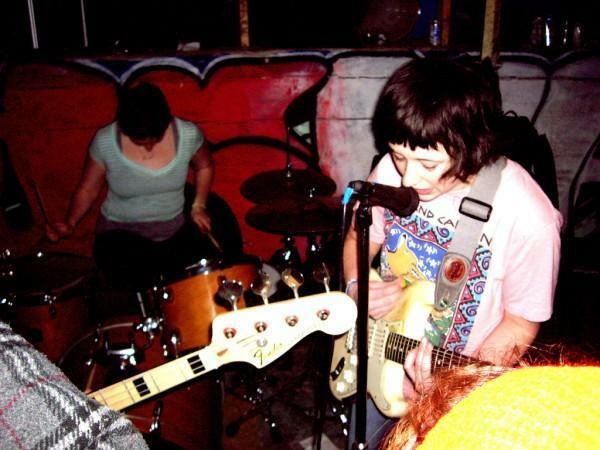 Kate was in a band called Cheeky and is now in a band called Big Eyes. Colman's in a band called Natural Law and another one called Creem. Kate's moving to Seattle later this year so once she goes Kyle Gilbride is taking her place. He's in a band called Big Soda and another one (with Allison) called Dear Marje. What have you been listening to lately that you would recommend? I listen to Go Sailor everyday. I play 'Rumours' by Fleetwood Mac every time I work (I work at a coffee shop) My favorite band making music right now is Sourpatch from San Jose and my favorite band from New York is Aye Nako. What are you up to right now music wise? 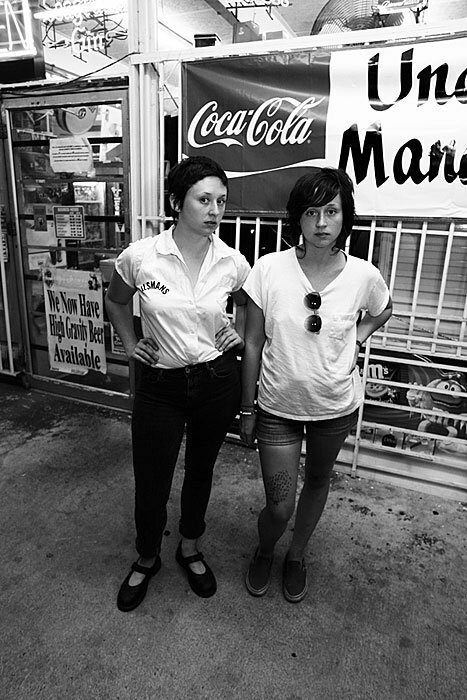 I'm about the release a Waxahatchee record called "American Weekend" and I'm working on a hiphop project with my friend Marlee called Pregnancy Pact. 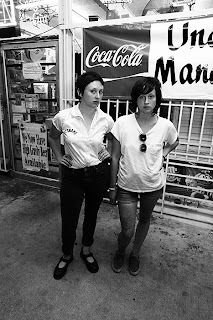 What’s next for Katie Crutchfield? Any chance on touring outside the US? Yeah, hopefully P.S. Eliot will do a Euro tour in the next 12 months! Fingers crossed!